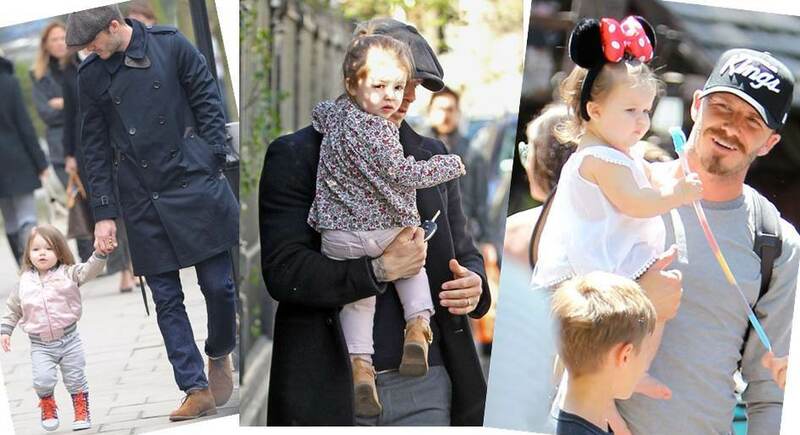 As the daughter of one of the most stylish couple’s around and part of a family that is constantly in the limelight, little Harper Beckham was bound to be a mini style icon. Her mother, Victoria Beckham is a true style icon with her very own fashion label worn by celebrities such as Beyonce, Eva Longoria and Olivia Palermo but to name a few. Showcasing her collections at Paris Fashion Week, the front row is always full to the brim of A-listers and fashion icons. From very early own Harper has been a huge fan of Bonpoint and Stella McCartney, Victoria Beckham wears her own designs in the first two images…if only she had a kidswear range! With Daddy David Beckham, baby Harper wears a gorgeous Caramel Baby & Child chunky knit. 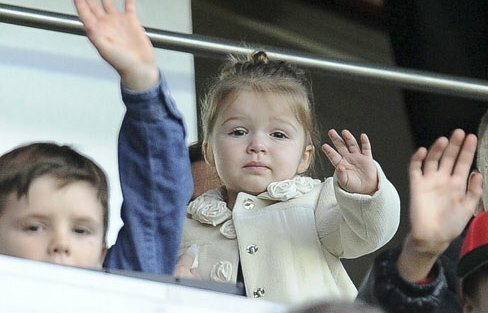 With Victoria, she wears that well recognised Stella McCartney metallic spot dress and while Mummy wears Miu Miu, Harper wears a grey military style coat. This Burberry cape is one of my favourite pieces from the Harper Beckham wardrobe. Being carried by Victoria, Harper wears a simple button through shirt dress by Caramel Baby & Child with statement red shoes from Bonpoint. I am a huge fan of little girls wearing white in Summer, shame clothes don’t stay white for long on little ones! However, this Chloe dress still looks adorable. I love her tomboy style with the feminine touch of a baby pink bomber jacket, then straight back to her Stella McCartney look wearing a vintage floral print blouse and a simple white dress. Buttercup yellow was a favourite choice for Spring, Harper wear s Stella McCartney dress with a yellow print and matching shoes and then for a trip to Paris she wears a Bonton blouse…cute! Harper Beckham’s highlight fashion moment so far has to be a front row appearance at Paris Fashion Week for Victoria Beckham’s show. 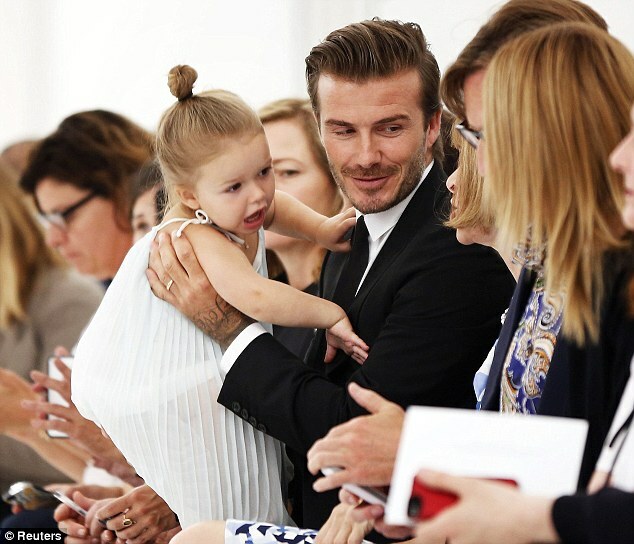 Sitting on Daddy David’s lap, most eyes were on her rather than the models on the catwalk. Wearing a gorgeous pale blue pleated Chloe dress and Tiffany necklace.